To get to my failure, I should start with a childhood that took place in Los Angeles. Hawthorne, California is a small community situated in Southwest Los Angeles. With Inglewood to the north, Gardena to the east, Torrance to the south, and the glamorous beach communities to the west, it was basically the edge of working class/POC Los Angeles butting up against the elite. What this meant is that I’d had some familiarity with celebrity. Not with myself, mind, but, like most Angelenos, I’d run into famous people while out and about. My most hilarious sighting being Los Angeles Laker Luke Walton at a local Target, while I was shopping for a few things with my mother. My mom was incredibly upset that I did not tell her that the tall and maddeningly handsome Walton had just waltzed right by her with the grace of a ballerina (Walton did have decent footwork) and the obviousness of a panzer tank. Needless to say, my life here should have prepared me for meeting Lewis Tan. It, however, did not. But before we deep dive into the humiliation of watching literally everyone else snap a photo with the super friendly and genial Mr. Tan, let’s get to how I managed to be sharing the same freaking oxygen in the first place — the Asian American Comic Con 2017: Summit on Art, Action, and the Future. 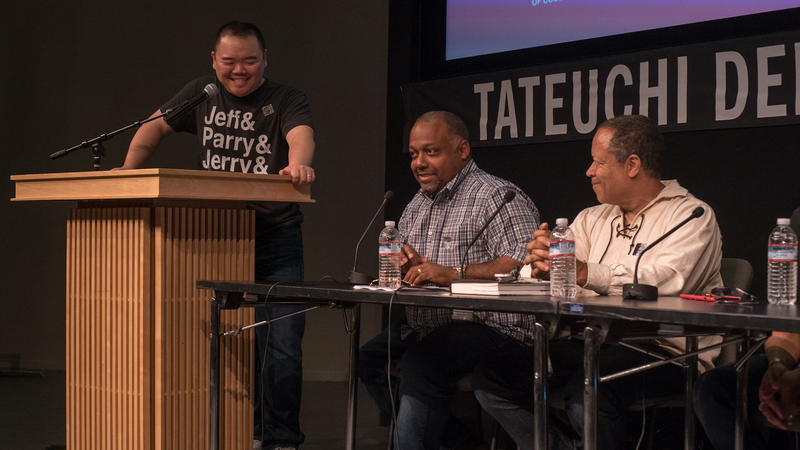 AACC 2017 was a gathering co-organized by The Nerds of Color founder Keith Chow and one of Asian America’s leading voices, Jeff Yang. It celebrated the release of their latest collaboration, the New Frontiers anthology, and featured panels from industry experts as well a neat artist alley featuring many of the book’s creators. 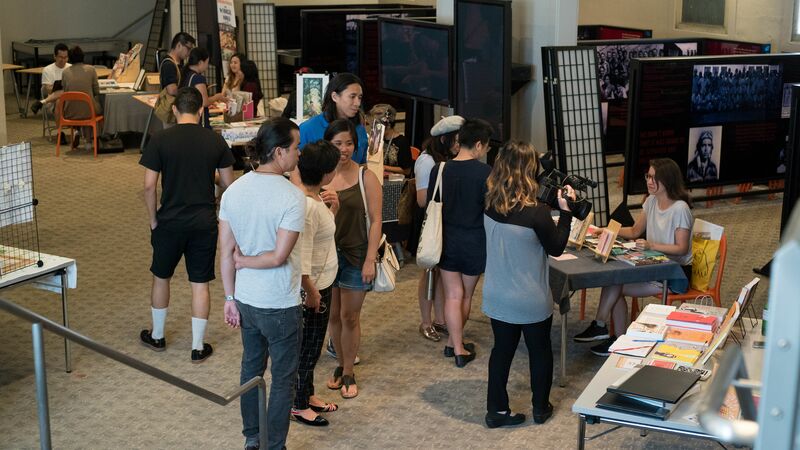 Held at the Japanese American History Museum, Asian American nerds came from across Southern California to be with each other and nerd out with some cool people. For example, there was the terrific panel on pop culture’s role in fighting for justice, moderated by Yang and featuring luminaries such as Women’s March standouts MILCK and Krista Suh, Afrofuturist writer Tananarive Due, documentary filmmaker Renee Taijima-Pena, and journalist Ira Madison III. My wife got to sit in on the Warrior Women panel — including Samantha Jo (actress, Wonder Woman), Paula Yoo (writer, Supergirl) and Sarah Kuhn (Heoine Complex) — where they discussed re-imagining the Asian American Female Hero. And the head NOC himself, Keith Chow, repped for us by moderating two panels while running around as part of the event day crew. The first panel being one focused on diverse futures. Among the panelists were Fatman on Batman podcaster Marc Bernardin and author Steve Barnes who posited an interesting philosophical take on how his life as a POC prepared him for envisioning a unique and different future. Barnes essentially reflected on how the experience of black America was one that was not compatible against the “coding” of our nation’s ideals and that to react in shock when “bugs” in our societal fabric arise (i.e. : movements against oppressive systems), stirred in him incredulity. It was mind-blowing to hear this language, employing science fiction terms to real issues of oppression. 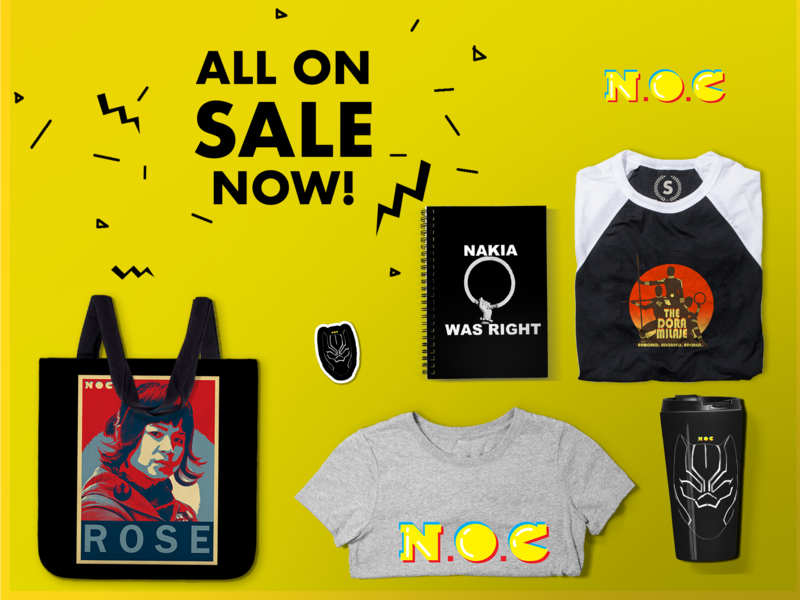 Not unlike how I felt when I first read NK Jemisin’s The Fifth Season, I left that panel seeing how my experience as a POC in a culture that tries to impose a binary of white America vs not American ideals has borne in me a different and unique way to frame things. The second panel that Keith moderated was the one regarding #AAIronfist and brings back our Man of the Hour, Lewis Tan. The panel itself also had Buzzfeed’s Susan Cheng and discussed the #AAIronfist movement and what it meant to the Asian American community. Watching fan films by panelists John Brougher, Adam Lim, and Benjamin To and listening to the them discuss how they were empowered and inspired by the hashtag and what it meant to lay claim to parts of Asian American heritage was incredibly inspiring and uplifting. In fact, hearing of a few panelists speak on the tension of being an actor/creator and wrestling with stereotypes and what their work means in light of them was surprisingly cathartic; it reminded me that there are people in our community that understand our struggles and are united in thinking hard about what this means. Unfortunately, I left before the last panel, which was a special dedication to George Takei, presenting him with an award for his contribution to pop culture and social activism while in that role. 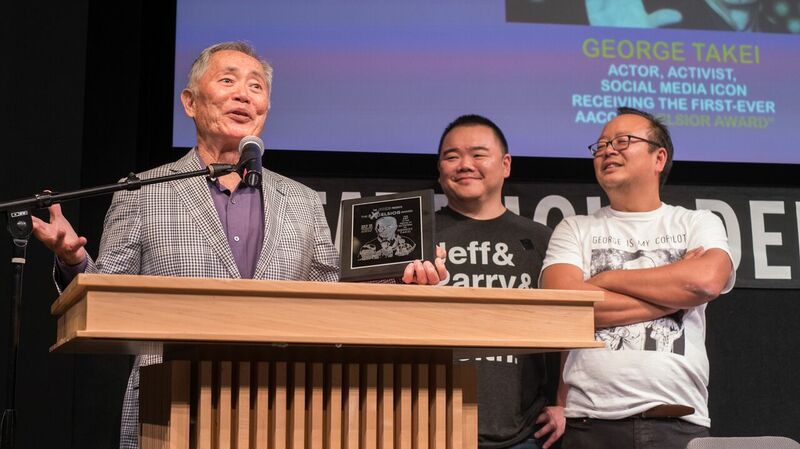 Presented by Keith and Jeff (followed by a special podcast recording with Phil Yu of Angry Asian Man), George Takei’s singular voice on things from Japanese Internment to advocating on behalf of LGBTQIA+ issues are a model not just for Asian Americans already doing similar work, but also serves as a repudiation of model minority stereotypes. It was, all told, an incredible day filled with inspiring people. More, I’d never realized how pressed I was to be in a room with other Asian American nerds who thirsted for justice. What a terrific moment — at a time when we might need it — to be reminded that we are not in fact alone. 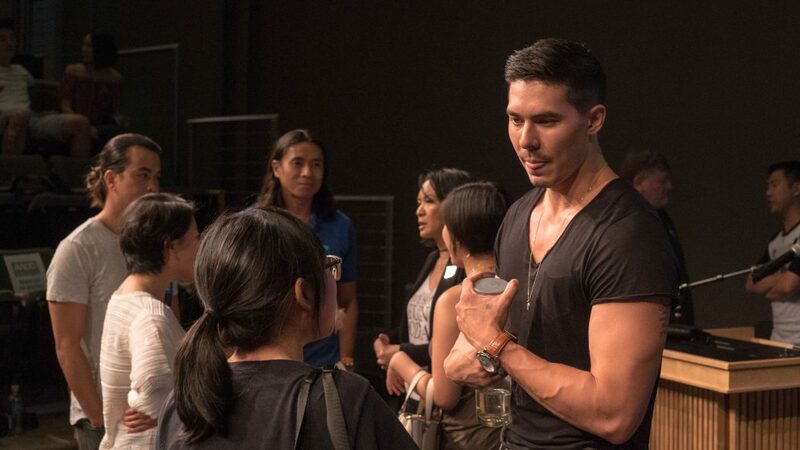 And so, my only regret was not snapping a photo with Lewis Tan. 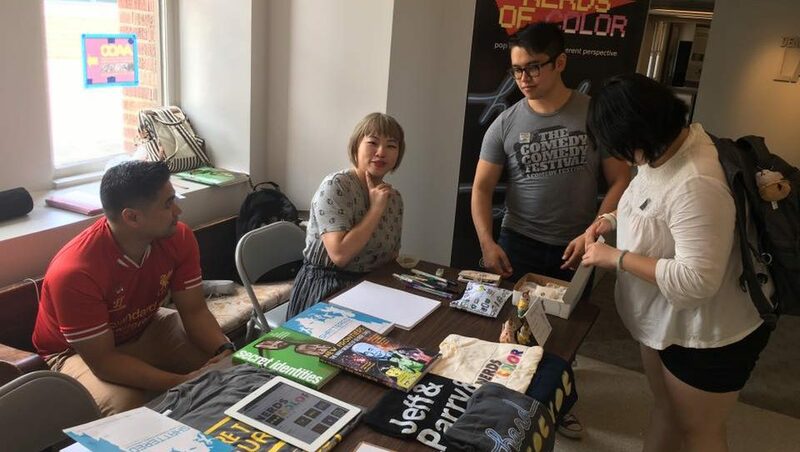 Sitting at the NOC table with artist Wendy Xu (who had, in fact, lived my dream by taking a photo with Lewis Tan just moments earlier) I lamented how I chickened out and had a moment of internal panic. “Aww,” she empathized, “He’s so nice!” And she was right. But maybe years of trying to keep my chill around celebs blunted me at a moment I needed to not be so chill. Funny. The big take away from the things I’d gathered that day was to remember that especially in the fights for progress and justice, we’d all be better served if we followed the model of the panelists and organizers (and, yes, Lewis Tan) and show less chill in front of oppression and bigotry by confronting it head on.